After many endless minutes of breathless anticipation, my tour group finally got into the fort. This is the inside of the main gate. One of my favorite aspects of Fort Adams is that it was not built by slaves, as were pretty much all of the starforts I've visited in the southern US. 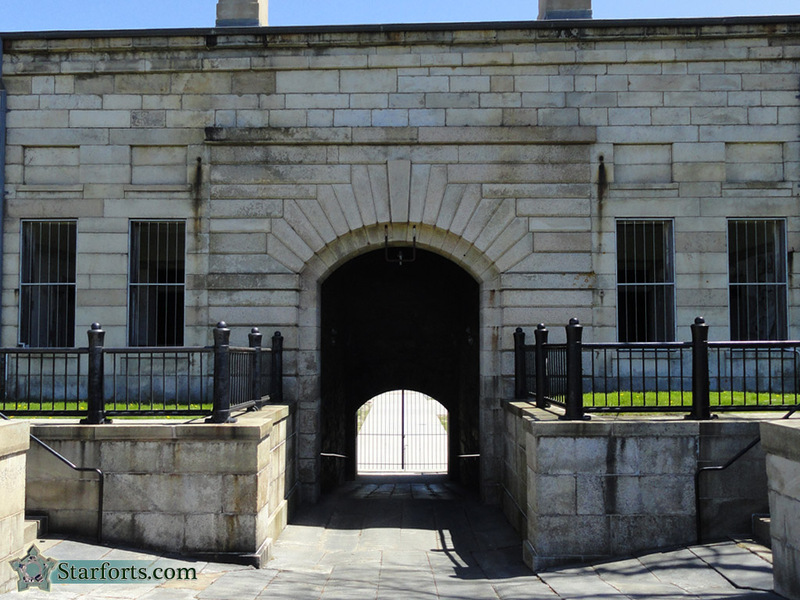 It was built instead by generations of Irish immigrants whom, if they weren't exactly praised or even smiled at on the streets of Newport by the locals, were at least paid fairly, housed decently and awarded with full US citizenship upon completion of the fort in 1857. As such, there is a greater degree of artistry present at Fort Adams than one will see at, say, Fort Monroe in Virginia.